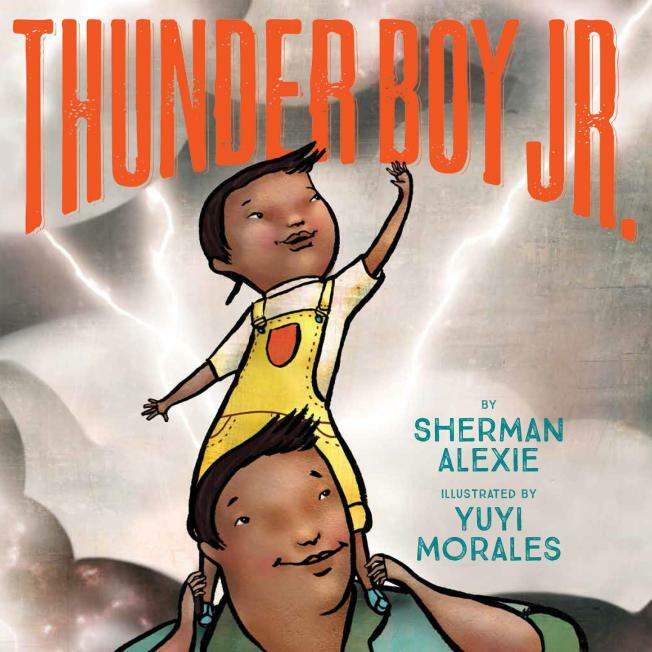 Thunder Boy Jr. is named after his dad, but he wants a name that's all his own. Just because people call his dad Big Thunder doesn't mean he wants to be Little Thunder. He wants a name that celebrates something cool he's done, like Touch the Clouds, Not Afraid of Ten Thousand Teeth, or Full of Wonder. See below the book trailer, followed by the giveaway entry form. 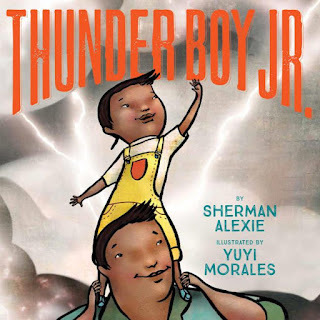 See also Towards a Common Understanding of Native Peoples in the U.S. (or, Why Alexie's Thunder Boy Jr. Needs a Note to Readers) by Debbie Reese from American Indians in Children's Literature.